The Spandau Ballet classic Chant No. 1 (I Can’t Keep This Pressure On) has been given a disco re-rub by Flash Atkins as part of the Fags & Booze EP. It features Crazy P’s Danielle Moore doing her best Tony Hadley impression on vocals. The stems and parts to remix and re-edit can be downloaded by clicking HERE. The best will be put out by We Are Woodville so email a link of your version to us by JAN 1st by clicking HERE. Flash returns from his triumphant 4th Plinth ‘Disco Rave Off’ in London’s Trafalgar Square with a solid four track EP of leftfield house, disco and downbeat dedicated to his favourite things in life, fags and booze. First up, Scotland’s finest baritone sings of his life as a gigolo over a thudding jazz bass driven thumper. It resonates with deep and dirty touches of wild pitch before a crescendo of serious guitar disco action to wrap things up. Next, everybody’s least favourite 80s Old Romantics Spandau Ballet get their only good song Chant Number 1 (Can’t keep The Pressure On) given the disco re-rub treatment with Crazy P’s Danielle Moore doing her best Tony Hadley impression. An analogue bass sits over shuffling dancefloor beats with plenty of electronic action before breaking to some heavenly Rhodes, strings, arpeggiator and pads. The Flow takes things down a notch with a down tempo track that tips its hat to Kruder & Dorfmeister, dubstep and Talk Talk. It features LA rapper Sean Reveron who has worked with David Holmes and The Beta Band in top rhyming form. There are sirens, strings, feedback, off kilter beats and a break in the middle that uses a kit sampled in the cellar of Hoxton boozer, William IV. Finally there is a dub of G.I.G.O.L.O that does what it says on the tin by keeping things simple but with extra wild pitch ‘on the one’. The revival starts here! 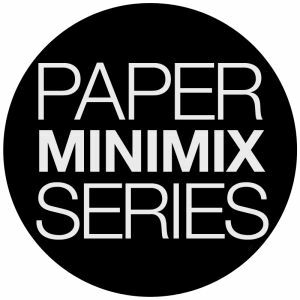 The PAPER MINIMIX series is a bite sized series of DJ & producer mixes, kicked off by Flash Atkins who plunders the back catalogue for hidden gems, stone cold classics and future rhythms. Fresh eyes have plundered some of its choicest cuts, unearthing some sparkling new talent and productions from around the world with that PAPER stamp of quality. PAPER kicked off in 1994, leading the upsurge in popularity of UK house music within an underground scene previously dominated by a soundtrack from US cities like Chicago, Detroit and New York. Enhanced by a strong visual identity, as well as impeccable musical quality control, PAPER was, and is one of the world’s most treasured record companies. 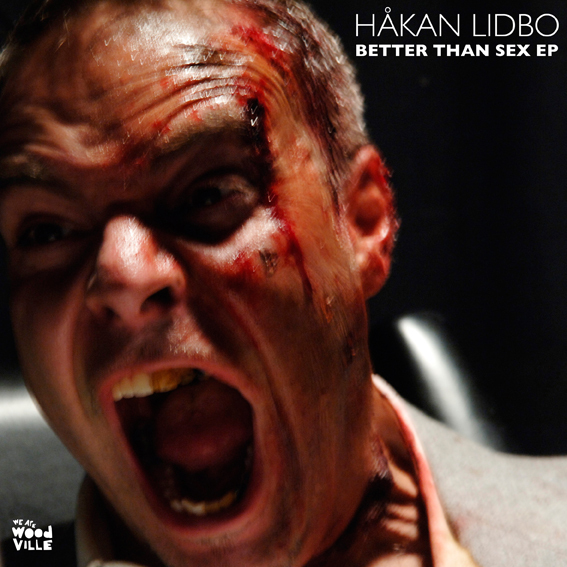 Håkan Lidbo, mighty Swedish producer of all things electronic is back on with a four track EP that ranges from deep house to techno via some heavy rock landing bang slap in the middle of the dancefloor. First up, ‘Let’s Rock’ takes the two opposite extremes of heavy rock and techno, mashing them together producing a glitchy head banging classic destined for peak time status in your more eclectic DJ’s sets. Next up ‘Honey Dipping’ takes things bumpier with some futuristic vocoder tinged deep house that comes across effortlessly as Daft Punk with a swing. Sug Min Puss sounds like a bee stuck in a jar but with a 4/4 beat and big distorted bottom end that gets locked into a groove that builds up the pressure relentlessly. Magik Johnson demanded to remix this, so keep ‘em peeled for his take later in the year as those Kiwi festivals were lapping it up during their antipodean summer. Finally, Groove On goes old school with a 909 kit and rave synth straight from ’91. Aciiieeeeed!